Where Brazil was born: Salvador, Bahia. Diga Brazil is excited to introduce you to the magical city of Salvador located just thirteen degrees below the equator along the beautiful Northeast coastline of Brazil. 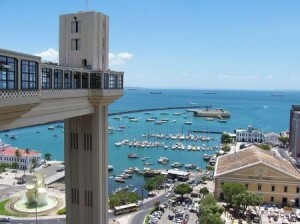 Brazil’s original capital city, Salvador is over 500 years old and is Brazil’s cultural and historical center. Salvador is best known as host to Brazil’s largest street party, Carnaval! Come dance with Brazil’s hottest music groups as they parade along the oceanfront and in the colonial style streets of the Old City. 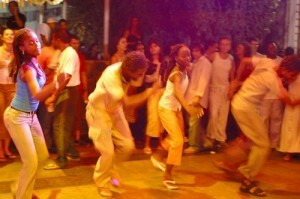 With its deep Afro-Brazilian roots, Brazil’s third largest city is the cradle of the martial arts-dance, “capoeira” as well as the uniquely Afro-Brazilian religion, “candomble”. Located on the northeast coast of Brazil in a region of tropical rainforests, Salvador is historically known as ‘Sao Salvador da Baia de Todos os Santos‘ (or Holy Savior of All Saints Bay). As the third most populous Brazilian city, Salvador is known in Brazil for its cuisine, music and architecture. The metro area is one of the wealthiest in the north-eastern region of the country, and over 80% of the population has some Black African ancestry, making for a heady mix of cultures and traditions. 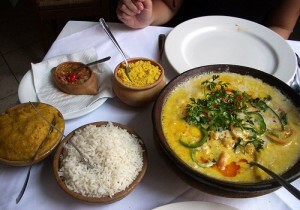 The local cuisine in Salvador reflects the African heritage of its inhabitants, and centres on spicy, seafood-based concoctions. Traditional dishes can be found everywhere, with some of the best flavours and deals coming from the local street vendors. Sample acaraje, a fried ball of black-eyed peas served with caruru, an okra, onion, shrimp, peanut and palm oil condiment. 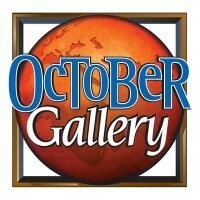 Don‘t miss the chance to sample any variety of moqueca (and there are many), a thick, fiery seafood stew. Go Home With More Than Just A Tan! 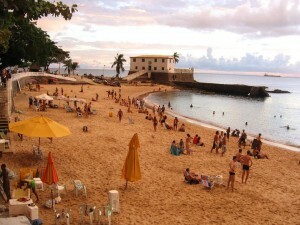 Throughout Brazil, Salvador is known as much for the outgoing and friendly locals as it is for it’s beautiful beaches. Salvadorians love to share their city with visitors, so be prepared to meet new friends. 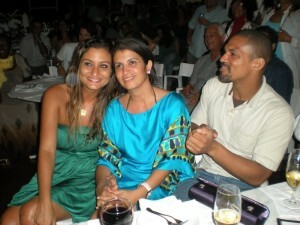 While visiting Salvador you will experience a safe, fun, relaxing as well as culturally enriching vacation. 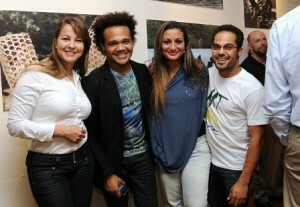 Diga Brazil is proud to be your host. 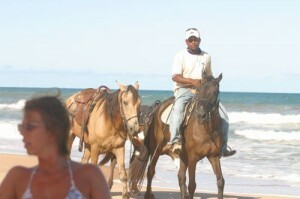 After visiting Salvador you will go home with more than just a tan! Salvador is also beautifully located on a small, roughly triangular peninsula that separates the Todos os Santos Bay (‘All Saints Bay’) from the open waters of the Atlantic Ocean. After Rio de Janeiro, the city of Salvador is Brazil’s main tourist destination. However, at the start of the new millennium there are more industries other than tourism which contribute to Salvador’s prosperity. Salvador is boasting a large oil refinery, a petrochemical plant and other important industries which reduces its historical dependence on agriculture. Nevertheless, Salvador is home to many poor Brazilians and economical and social contrasts are vast, even to Brazilian standards. Salvador da Bahia has a captivating diversity of cultures and people. 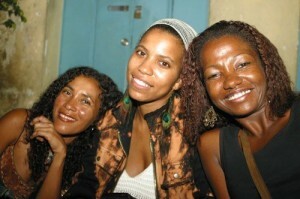 Owing to the massive slave trade history, Bahia has the highest percentage of Brazilians of African descent. The exciting rhythmic music, the delicious Bahian cuisine, the ‘martial dance’ capoeira, the spiritual religion Candomblé and even Carnaval: they all have African roots to a certain extent. 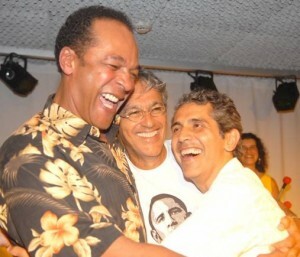 In this context it is safe to say that Brazilian culture as a whole is rooted very much in Salvador’s legacy! We’ll send you our informative Brazil Newsletter with upcoming events, what’s new in Brazil travel and fun videos about the people and places in Brazil.